David Bonsey | Skinner Inc.
Violoncellos produced in the Betts workshop are extremely sought-after, and this example, to be offered in the Skinner Fine Musical Instruments auction on April 28th, is no exception. The cello bears a label with a completion date of 1783; however, the accompanying Hill Certificate from 1936 dates it closer to 1790. It is also interesting that the employment of Vincenzo Panormo began around the year 1791. John D’Angelico guitars are known for their smooth tone, elegant appearance, and rarity: only about 1,200 of these instruments were produced. D’Angelico custom built each guitar by hand according to the specific requirements of his customers, and he employed only one apprentice ever to assist with production. D’Angelico guitars are now counted among the most valuable and desirable of modern archtop guitars. Between the old Mantua school, represented by Peter Guarneri, Camillo Camilli, and Tomasso Balestrieri, and the new Mantua school represented by Stefano Scarampella, the only notable maker working in Mantua in the early 19th century seems to be Giuseppe Dall’ Aglio. Composite instruments are those that have had one or more of their original parts replaced. They can represent a significant opportunity for string players who are seeking a good value in a playable 18th or 19th century violin, viola, or cello. 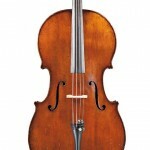 Auction is an excellent avenue to consider when searching for a great value in your next instrument or bow. Fine musical instrument auctions are where the dealers buy. They are, essentially, the wholesale market for the trade. But, these auctions are free and open to the general public. C.F. Martin & Company had always made guitars in a very conservative style, and was even reluctant to list the D-45 as a regular item in their catalogue. Beginning in 1933, a few dozen were made at the request of famous cowboy personalities and specialty music stores. Gene Autry, Nolan “Cowboy Slim” Rinehart, Tex Fletcher, Jackie Moore and others wanted big guitars that would get them noticed. Martin added more pearl inlay on these instruments than on any D-size guitar that they had made previously, and used only selected pieces of spruce and rosewood of exceptional quality. How can you tell if the label in your violin is original? This is an important question in the evaluation of a violin from the 18th or 19th century. The recognition of an original label is an essential part of authenticating an antique violin, and the presence of an original label will naturally enhance a violin’s value. 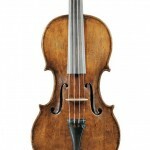 English violins of the eighteenth and nineteenth centuries are popular alternatives to Italian instruments for musicians seeking value. One of the best proponents of English violin making in the period of 1750-1800 was Benjamin Banks, who worked about 75 miles from London in the town of Salisbury. He trained as a musical instrument maker with his uncle, and eventually concentrated on the instruments of the string quartet: the violin, viola, and ‘cello. For over a century, modern string players have found that Italian violins from Naples can satisfy the need for a first professional quality instrument at a fraction of the price of those by Northern Italian makers. Many, including soloists, continue to use the same Neapolitan violin throughout their careers without needing to upgrade to something older and more expensive.